eBook and eAudiobook collection containing thousands of fiction and non-fiction titles for adults, young adults and children. 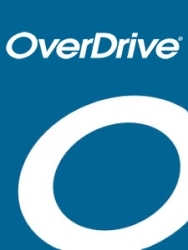 OverDrive is a free digital media platform which allows you to enjoy eBooks and eAudiobooks. Titles include fiction and non-fiction items for adults, young adults and children, with new material added on regular basis. We also have eBooks in Chinese, Korean, Italian Japanese and Tagalog. Avoid late fees — the items self expire or you can check in eBooks early if you have finished with them. OverDrive eBooks are compatible with most eBook readers and mobile devices except the Kindle Reader and app. The Kindle Fire Tablets are fine. Please check compatibility from the lists below. OverDrive also includes a "recommend" feature that is located at the bottom of search results. Our library selectors will look at your recommendations and decide if the title should be added. Sign up to our Digital email newsletter to find out about new OverDrive titles and developments in our other digital collections. 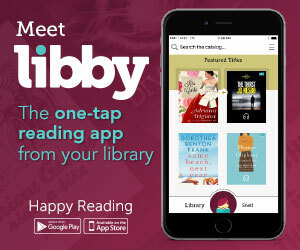 A new app Libby by Overdrive is available for iOS (Apple) from the App Store, and Android from Google Play. An Overdrive app is available for iOS (Apple) from the App Store, and Android from Google Play. How do I use Libby, the OverDrive app? Can I sign in using my library card on the OverDrive app? Can I borrow an eBook from the library when I am overseas?